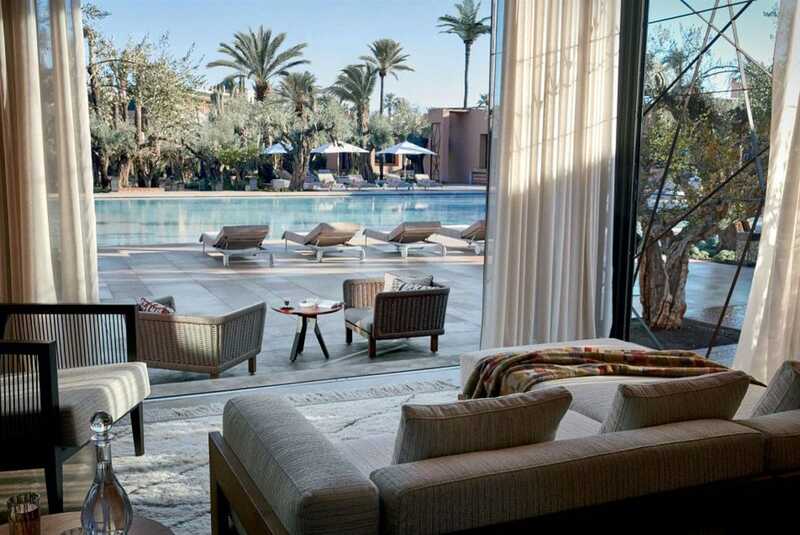 Where to spend a day by the pool in Marrakech? Located in a scene of beautiful greenery, the 30 meters long by 20 meters wide pool of the Jardin invites you to experience absolute relaxation. Take a dip, read under the palm trees, perfect your tan, sunbathe, sip a refreshing cocktail: catering to your every desire, there is something for everyone by the pool at the Royal Mansour Marrakech. For non-staying guests, Le Jardin offers various pool day pass offers. Swimming pool and pavilions are accessible from 09:30am to 06:30pm. At lunchtime, Le Jardin restaurant invites you to share a gourmet meal with your partner, friends or family. 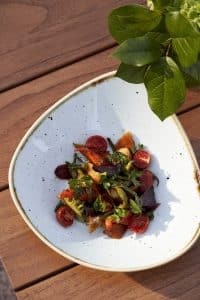 Let yourself be seduced by the contrasts of cooked and raw, sweet and salty, fresh and braised dishes that reveal the harmony of Asian and Mediterranean flavours, highlighted by Michelin star Chef Yannick Alléno. Now you can even be pampered at the water’s edge! The Royal Mansour Spa is located a stone’s throw from your deckchairs, at “Le Palmier” Pavilion, and offers you a unique wellness experience. Choose from a range of skin, hair and nail repair treatments. All you have to do is let yourself be carried away by the expert hands of our spa therapists. “Le Palmier” Pavilion is open every day from 10:30am to 05:00pm. Discover the ‘Beachwear’ collections created exclusively for Le Jardin Royal Mansour Marrakech’s pop-up boutique. The creations on display combine the codes of traditional Moroccan couture with the contemporary and fluid style of Western fashion. The pop-up Boutique is open daily from 11:00am to 08:00pm, from March 22 to June 30, 2019. At dusk, the elegant Le Jardin bar lights up the sky of Ochre city and marks the beginning of the Happy Hours, complete with live music (DJ or live band). On the programme: tapas and cocktails in a festive and friendly atmosphere, every evening from 05:30pm to 08:30pm. 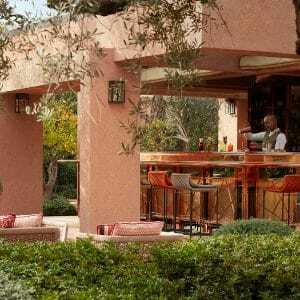 The perfect place for an after-work party in Marrakech! With the arrival of the beautiful days, Le Jardin restaurant at the Royal Mansour Marrakech welcomes you for dinner from 7pm. On the menu: Asian specialities created by talented chefs who will introduce you to an amazing variety of woks and dimsums.